high in terms of a search made by the visitors, you need to make sure that the crawlers get the chance to visit your site regularly. All of the search engines have separate algorithm that helps website analysis. 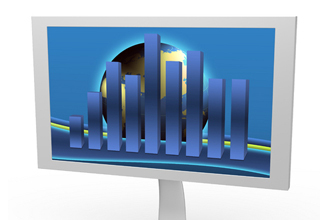 But you have to make sure that your website analysis report is good enough to rank your business high in all of them. This way, you will be able to get visitors from all the leading search engines and I can tell you, the website surfers these days search for a website and thus go there. Nobody reminds the domain names nowadays. There are certain tools that you can use for website analysis. Some of them are totally free, some are paid and some are service based premium options. With these tools you can learn about the insiders of a website and make it better to fight with the competition in the search engines. Here, you will find all the basic points you should consider while optimizing your website for the search engines as a whole. There are literally thousands others options and steps you should carry out. You must know what helps you and what harms your site repute. And I recommend you to follow the successful websites and learn from their strategies. Copying is definitely a devastating issue, which can lead your site to nowhere. These days search engines are preferring unique and useful sites in their top lists. If you really have something useful for the surfers; and maintained the basic web marketing strategies, you can definitely expect success of the website.